Modern optics do amazing things, allowing shooters to connect with targets at longer distances and in tougher conditions than ever before. But that's only if you do your part and arm yourself with a better understanding of how they function and what they can really show you. 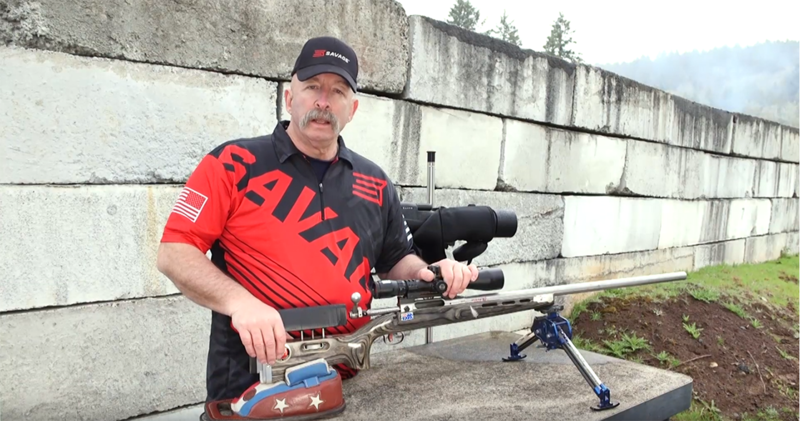 Team Savage shooter Stan Pate identifies light refraction mirage and a basic understanding of first- and second-focal plane optics as two key places where shooters can improve their game. Reading wind gets a lot of ink these days among long-range shooters, but Pate says you don't hear so much about how light refraction plays into that. But it can wreak havoc on your ability to connect with a target at extreme long range. "This happens when you combine moisture with the mirage," he says. "It's bending of light - like looking at a fish underwater. Where you see the fish is not really where it is." The same thing happens with a target - especially those at extreme ranges. "You'll get the appearance of the target moving around. What you have to do is dial the scope power setting down until the target quits moving" he says. Failure to do this will result in wild shots off target because even if your crosshairs appeared to be on the correct spot on the target when you broke the shot, the target was simply not there. "I set up my spotting scope so it's focused at about 300 yards out and my rifle scope is focused on the target, which might be at 1,000 yards," Pate says. "With just a glance through my left eye, I can see what the mirage is doing 300 yards out and that tells me if I need to adjust my scope to compensate." There are two basic types of scopes: first focal plane and second. In a first-focal-plane optic, as you increase or decrease the power, the reticle size changes accordingly. This lets you use stadia lines for rangefinding or holdovers. In second-focal-plane optics the opposite is true - the reticle's size is constant, regardless of the power setting. This means the stadia lines in the reticle can only be used for ranging or holdovers at a single power setting. Despite this, one big advantage of second-focal-plane optics is light transmission. "With one less lens in it, you get more light coming to your pupil through the scope," Pate says.